For gaming and heavy graphic work, the graphics card is one of the most important components to have in a computer. For such workloads, the integrated graphics of most new CPUs won't be enough and you'll have to add a graphics card to your system. With the wide range of GPUs to choose from, it's important to know which specifications and features are the most important. To help you find the best graphics card for your needs, we compiled a list of tips. Before buying a graphics card, you first have to determine what kind of workloads you will be dealing with and how much you are willing to spend. Ask yourself what applications you'll be running on your computer? Will these be simple non-graphics intensive tasks or games with amazing graphics, like Fallout or Battlefied? Maybe you’ll be editing videos and photos or play or you'll just want to enjoy movies in 4K high-definition resolution. There are two main types of graphic cards: gaming-oriented and workstation-oriented. The gaming-oriented GPUs usually support very high resolutions and frame rates, while the workstation-oriented GPUs (meant for using advanced photo and video editing software or 3D modelling software, for example) have high texture and pixel rates. While graphics cards have a wide price range, each tier has a certain price range for its group. 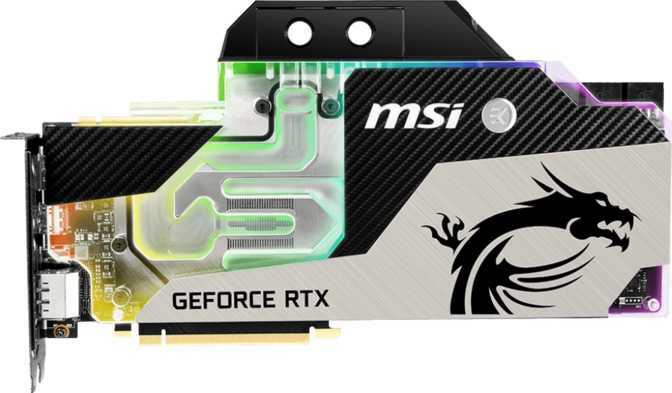 The low end graphics cards usually cost less than $300, while the mid-tier cards tend to stick around $400-$500 and the high end cards go well beyond $600. The memory type that a manufacturer uses for a certain graphics card often tells you the performance of a card. Though clock speeds matter, the memory or VRAM matters a bit more. Take for example Nvidia’s GeForce GTX 1080 which uses the latest GDDR5x memory and performs better than the previous GeForce GTX 980 that uses a GDDR5 memory. This is because the GDDR5x has 64 bits/access data rate compared to 32 bits/access on the GDDR5. There are also some cards that use a different memory type called High Bandwidth Memory (HBM) which is smaller than that of the GDDR5x but delivers quite the boost in performance at 1024 bits/access. The implementation of these types of memory depends widely on the target market of the manufacturers. Nvidia has implemented the use of the new GDDR5x on their cards from the previous GDDR5, while AMD still uses GDDR5 on their mainstream cards. One of the reasons why manufacturers have opted out of HBM for now is that this technology uses an entirely different way of processing and manufacturing. GDDR5 and GDDR5x have the same physical sizes, thus manufacturing time and cost almost remain the same, while HBM is smaller and this means manufacturers have to change their process in order to cater to this technology. The clock speed determines the performance of a graphics card. There are two types: the base clock and the boost clock. The base clock is the actual speed at which a card can operate, while the boost clock is the highest guaranteed performance. Some users tend to overclock their cards beyond the rated clock speeds to achieve a faster and better performance for graphics intensive applications. Shading units, shader units, steam processors or CUDA cores - depending on the manufacturer, are small processors on the cards that process data and a card can contain thousands of these. These shading units help render images especially when three dimensional scenes are at play. Games and video editing software take create advantage from these mainly as they help process the thousands of frames the software has to render. Knowing what resolution you’ll be content with will help you pick which graphics card you’ll be going for. Most cards to date can provide high definition display at 1080 while some cards that are more expensive can allow it’s users to enjoy 4K displays on a single card. But this does not limit those in the lower end as with recent technology, some budget cards can now display in 4K. Graphics cards tend to use quite a lot of power and this translate to heat. As with any electronic device, heat is the enemy of graphics cards and it may just take a few seconds to a minute for a card to fry without proper cooling. Though stock coolers that cards come with already provide adequate cooling, some cards are equipped with better coolers such as those that come with two or three large fans to help remove heat from cards. Other manufacturers even place specialized cooling solutions that use water to help cool the card. Each cooling solution delivers various results and demands in terms of maintenance. The added features will cost more than the stock blower type cooling solution that is placed in all reference cards. This is a tough question to answer and there’s always a mixed remark on both sides of the coin. It’s like Windows versus Mac, Android versus iOS and many other apples to oranges comparisons. While they may almost have similar functions, their features, performance and prices differ. What is interesting with these two companies is on their development and process to support virtual reality (VR). AMD’s recent releases aim to bring the VR experience at a low cost compared to its competition. Nvidia however brings quite a different appeal to the VR market through high performance throughout all of their cards to cater to not just VR but also to cater other applications as well at the cost of a higher price.